How do you welcome your people home? The unconditional love we give our people is obvious with just one glance. Iams knows that us pets play a very important role in our people’s lives; we’re truly part of the family AND because of that, Iams is asking YOU to choose the stories that speak to you the most! There are 5 new TV ads that are all featured on the Iams Facebook page and are inspired by real stories of unconditional love. 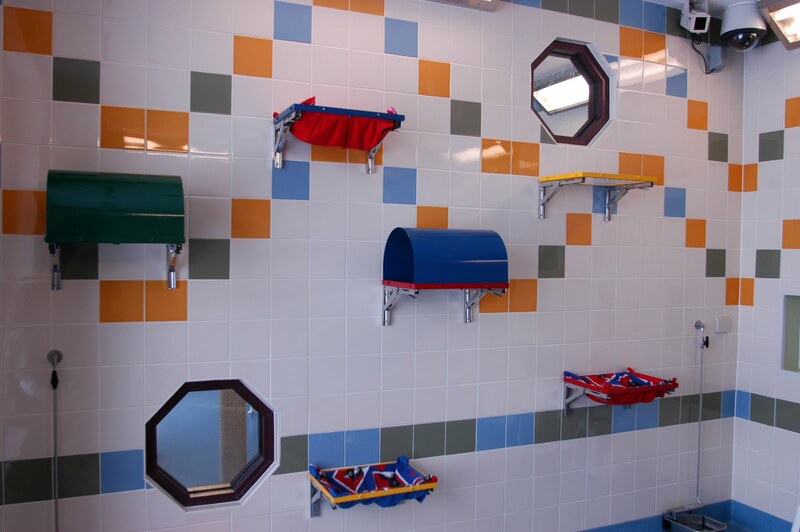 Here’s where you come in. Vote for your favorite new Iams ad on their Facebook page through November 29th. I know that’s tomorrow so jump on this quickly. The winning ads will begin running on national TV in early December. I have an Iams gift basket to give away to one lucky reader. To enter leave a comment on this post telling me how you greet your people when they come home. I howl my brains out when my people come home because I’m just so excited to see them, even if they’ve only been gone a little while. Tell me what you do to greet your people by midnight EST on 11/29 to be eligible to win an Iams gift basket filled with goodies customized for either a cat or dog. One comment will be selected at random to win. As part of the Iams Home 4 The Holidays I get the pleasure of interviewing some pawsome pets who really need a hero to come into their lives and adopt them. Oskar: Lola, welcome to The Daily Oskar, I’m so excited to learn more about you. Lola: Thanks for this opportunity Oskar, what would you like to know? Oskar: I imagine it was awfully scary wandering around the streets alone. You must be a very brave girl. Were you happy when the City of San Antonio Animal Care Services found you & took you in? Lola: I was pretty shy and scared when they took me off the streets. There was a lot of hustle and bustle when I arrived and lots of new people and pets to get used to. It only took me a few days to realize that these people were my friends and now I am a lover. Oskar: I hear that you are in a foster home, what’s that like? 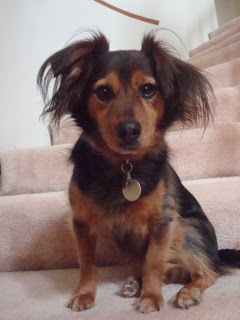 Lola: Oh Oskar, my foster family is wonderful, but I long for a real forever home that I can call my own. I’ve been told that I’m very affectionate and gentle & I love to be right by my persons side. I know the perfect family is out there for me! I hope all of your readers will check out the Iams Home 4 The Holidays Digital Dish Drive to help earn bowls of food for needy animals across the country. Oskar: Besides clicking over to the Iams Home 4 The Holidays site, what can my readers do to help animals in need? Lola: I’m glad you asked, because for every comment left on this post Iams will donate 10 bowls of food to animals in need. Just leave comments and you can help Lola and pets like her. 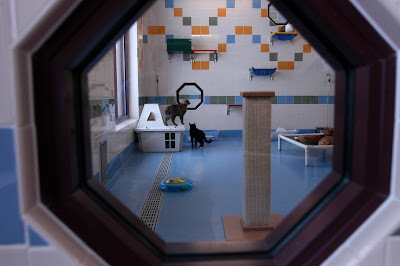 Oskar: Please leave lots of comments on this post and the other posts that will be coming this week to earn lots of food for these pawsome homeless pets! 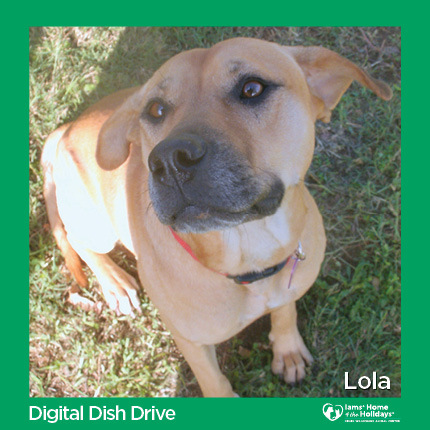 Lola: I make my debut on Iams Facebook on 11/14…come see me! 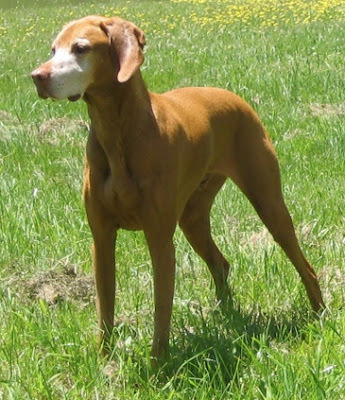 My good friends at Iams are celebrating their new Iams Senior Plus diets with a contest. Here is the story of Chief, who has earned the “Honorable Mention” title in the “Play Young, Stay Young” contest because he’s a dog that refuses to act his age. Isn’t he adorable? Chief, who is 11 years old, lives in Columbia, MO with his mom Amanda. If you’re interested, each week until June 3rd, the team at Iams will select one dog and one cat 11 years of age or older (9 years of age or older if your dog is a large breed) that refuses to act their age. Just submit a current picture of your cat or dog and tell Iams how or why they refuse to act their age. Here is the story of Elvis, who has earned the “Honorable Mention” title in the contest because he’s a dog that refuses to act his age. And in case you’re interested, each week, the team at Iams will select one dog and one cat 11 years of age or older (9 years of age or older if your dog is a large breed) that refuses to act their age. Just submit a current picture of your cat or dog and tell us how or why they refuse to act their age. Today is post number 501 for me (woot) and I wanted to use it to Blog the Change. The economy has gotten the animal adpotion shelters full of unwanted animals who sit in cages day after day, wondering what happened to the people who were supposed to take care of them. I have one really easy way that you can help. Click here to go to Pet Blogs United and ask a question of Mike Arms, president of the Helen Woodward Animal Center in California and all around orphaned animal angel. 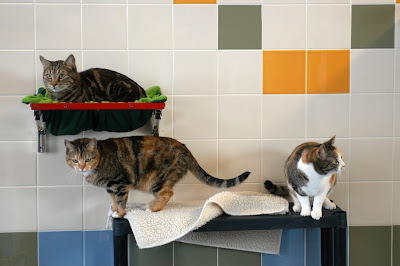 Mike has agreed to answer reader questions left on this post and Iams has agreed to donate 10 bowls of food for each question asked. I have to tell you that I’m a little dissapointed, the post on PBU has had almost 100 views, but only 3 questions asked so far. This is a guaranteed way to help homeless animals, 1 question = 10 bowls of Iams food to help those who might go hungry. I usually keep it pretty lighthearted here in my little corner of Blogville, but today I am imploring you to click over to PBU and leave Mike a question. Let’s get some of those hungry little tummies full! Just 1 Blog Post Can Fill 100 Empty Food Bowls! 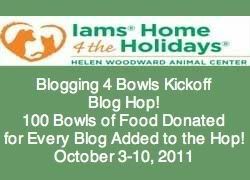 When You Show Your Support by Joining the Iams Blogging 4 Bowls Blog Hop Iams will Donate 100 Meals! Did you read that? 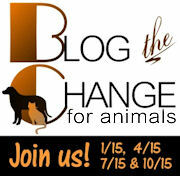 100 meals for orphaned pets just for writing a little blog post & joining the blog hop. •Link up your blog name and URL using the Linky Tool below, where it says Click Here To Enter. You only need to add your link once to be seen on all the Blogging 4 Bowls Blog Hop Linky Tools. •Grab the code and write a post on your blog to show your added support for the Blogging for Bowls Blog Hop. •Stop by the blog hop co-hosts,The Tiniest Tiger, Fidose of Reality, Pets News and Views, Pets Weekly, Dogtipper, and Preston Speaks , to say hello. •Visit other blogs that are supporting the Blogging 4 Bowls Blog Hop. Make new friends and/or reconnect with old friends. Spike is the new spokesdog for Iams Naturals dog food & he sent me a behind the scenes sneak peek of the filming of his latest commercial to share with all of you! I eat both the new Simple & Natural and the original Healthy Naturals varities. We switch them up, so it always seems like I’m getting a new food. My mom person says that I’m getting awesome nutrition from a great company. Here’s some info on the new Iams Naturals. – New IAMS Sensitive Naturals – ideal for dogs with ingredient sensitivities. – New IAMS Simple & Natural – simply made for dogs and contains our highest quality ingredients from nature. Each of the IAMS Naturals products have higher levels of antioxidants like vitamin E for a healthy immune system, more Omega 3 fatty acids from fish oil for healthy skin and coat, real chicken, fish or lamb meal for building strong, lean muscles and natural prebiotics for healthy digestion. – None of the IAMS Naturals recipes contain fillers or artificial preservatives, artificial colors or artificial flavors. – All of our IAMS Naturals recipes are available at pet specialty stores, mass retailers and grocers. 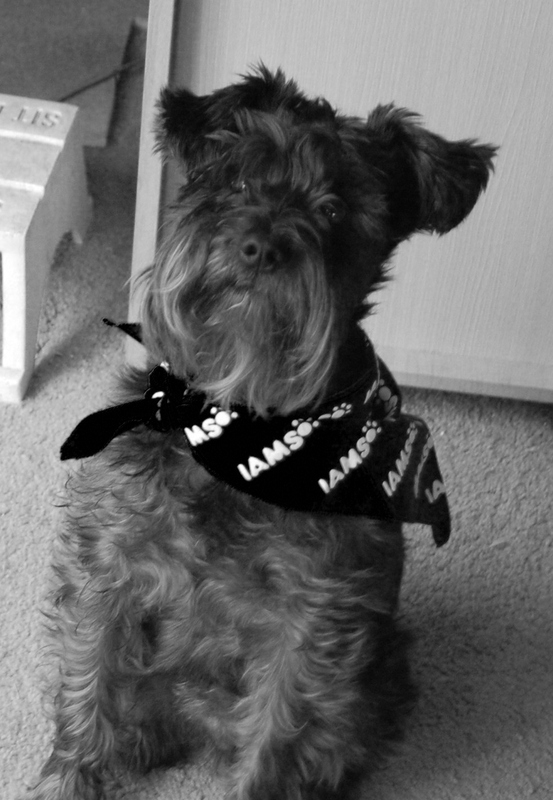 My mom person has been lucky enough to get to know many people behind the Iams & Eukanuba brands & we are proud to say that I am a Iams dog! Hello friends, Oskar’s mom person Pam here. I let you know that I was going to the Iams & Eukanuba Behind The Paw Influencer Summit these past few days and I have to tell you that I had a wonderful time and met so many amazing people. 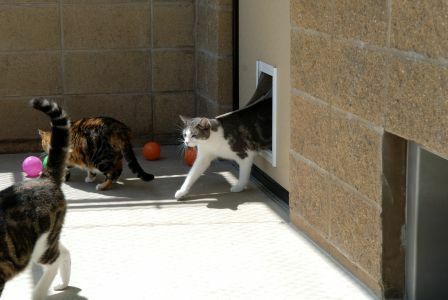 Iams felt that the feedback they were getting about their animals at this facility, was not very good. 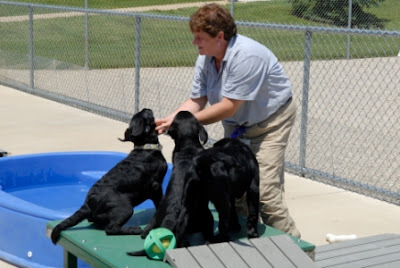 What they decided to do was hire a person themselves to oversee the care of their animals at this lab. Iams wanted to ensure that their animals got proper care, stimulation and were being treated well. The person that Iams ended up hiring was an undercover PETA operative, who took inflammatory video, mostly of dogs that were not Iams animals and swung the power of PETA against “big corporate America” for sympathy and to raise money for their cause. At the end of this PETA video it asks for you to contribute to Fifi, an IAMS pet. What PETA does not tell you is that Fifi was removed from the facility and adopted out to a loving family through the Iams adoption program. Any money given to PETA for “Fifi” is not being used to help her. I met and spent almost 3 days with Proctor & Gambles Iams/Eukanuba team including Jason Taylor, who is in charge of external relations. What I want you to know more than anything is that the entire Iams family is deeply hurt by the lies that have been spread about them. I met everyone from the president of Iams Eukanuba North America to the employees that work at the production plant and these people love animals as much as I do. Did Iams pay for me to Dayton to convince me that the PETA accusations are untrue? In part, yes they did. Were they successful in doing so? Absolutely. Do I want a fight with PETA on my Oskar’s little corner of blogland? Absolutely not, but what I do want is our friends to know are my honest opinions. 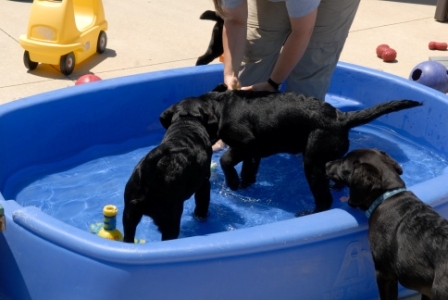 Iams research & development dogs are happy, exceptionally well treated, well trained dogs who are bought from reputable breeders, are AKC registered and adopted out to loving families at the end of their time with Iams. I’ve got a lot more to tell you about my trip & I will in the coming days. This will be the only post in which I address the PETA video. I welcome your comments, but if their not respectful then they will be deleted.